January 24th was beer can appreciation day. Or National Beer Can Appreciation Day if you are feeling more magnanimous or International Beer Can Appreciation Day if you want to take the global perspective. Needless to say the beer can was first sold on that day 77 years ago by the Gottfried Krueger Brewing Company and it contained their Krueger’s Finest Beer, which interestingly enough was a low alcohol beer. I have no idea what it tasted like but we can talk a bit about the ensuing revolution because it did change things significantly. Cans have some distinct advantages over their glass counterparts; for starters they immediately eliminate two of the big beer killers. A sealed can is incredible effective at dealing with light and oxygen, both of which rapidly deteriorate the quality of the beer. (The third beer killer is heat) The other major benefit to a brewer was that canned beer costs less than bottled beer to ship. Beer in cans was a puzzle the brewing industry had been trying to solve for a while; part of the struggle was finding an easily produced can that could stand up to the heat generated during the pasteurization process and the pressure from carbonation. The other problem to solve was keeping the beer from leeching the taste of the metal since beer is very good at being a flavor vehicle. 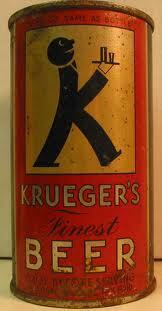 This was solved by a thin plastic liner in the can that had been developed in 1934. In the old days forgetting one of these was the party foul. 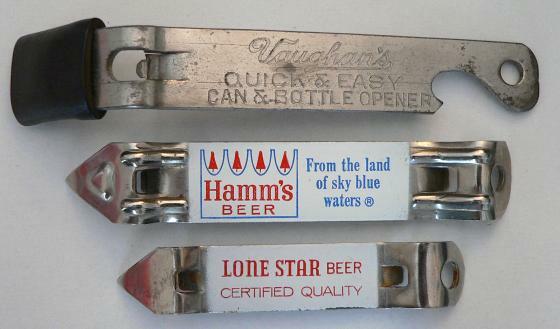 In the beginning you needed a churchkey to punch open these steel or tin cans, but with the advent of the pull tab and then the stay tab made cans an even more viable option. There was a price to pay for this though, canning had a high entry cost. The equipment was larger and expensive. If you could afford the initial investment though, the economy of scale would allow you to reap some long term financial benefits in a variety of areas. The large brewers were able to make this transition and soon the market was flooded with canned beer. Pabst led the charge and the other majors eventually followed suit though the bottle didn't yield ground easily. Eventually though as more and more small breweries crumbled under the beer giants it was an easy financial decision, you could make more money by canning brew. With this dominance canned beer came to symbolize American Macro lagers, the Budweisers, Millers, and Coors of the world, and with that came a reputation that it was only fit for beer of lesser quality. It is an image that the beer can still battles today. Bad beer came in cans and good beer, whether imports or crafts came in bottles. At the advent of craft brewing, small operations only had glass bottles as a choice, the can still being to costly to be considered a viable option. For a new microbrewery just starting out it was brown glass bottles, partly to distinguish themselves from green glass bottle imports and for the fact that brown glass lets in less UV rays. With the changing times, canning technology has become scaled so that it can be a choice. 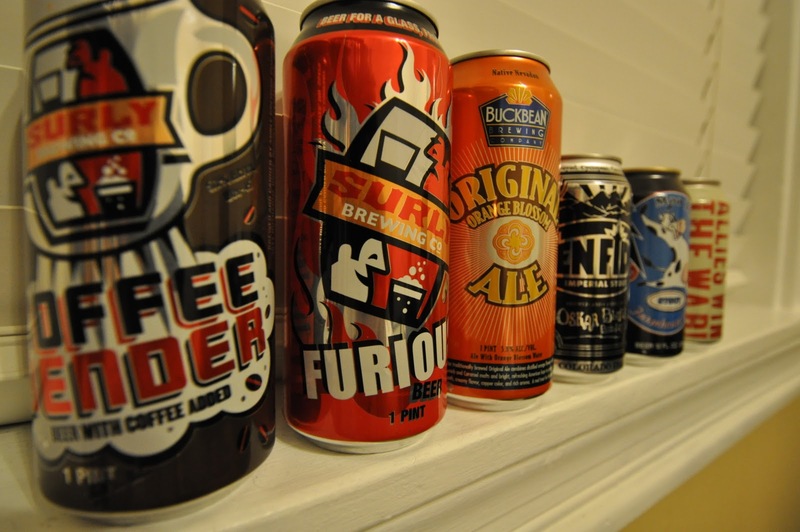 With a craft brewing industry that is growing, more and more breweries are switching to the can. In today's sustainability focused brewing world cans also have one other advantage over their glass counterpart. They can be recycled faster. The turn around time for a recycled can is about two months before it is back on the shelf. Glass is a little more complicated. Canned beer isn't just for macros anymore. So what can you find in the can today? Interestingly enough, the beer can is rising up from it’s second class status and being filled with top notch beer. If you want to get a brewer's perspective I very much recommend reading Tallgrass Brewing's "Canifesto". I argue that the reemergence of the beer can in the craft beer scene is actually a sign that the craft brewing industry is starting to mature. The sun is rising on the new age of canned beer. There is a whole lot more to the beer can story that is partly why it has taken so long to get this up. Consider this the Readers Digest version, and someday we will get around to cone tops, the can and bottle wars, and everything else beer can related. Thanks for your patience and comments are welcome!